BLOOMINGDALE, Ill. -- The DuPage County Sheriff's office and DuPage County Chiefs of Police Association are helping families put gifts under their trees. 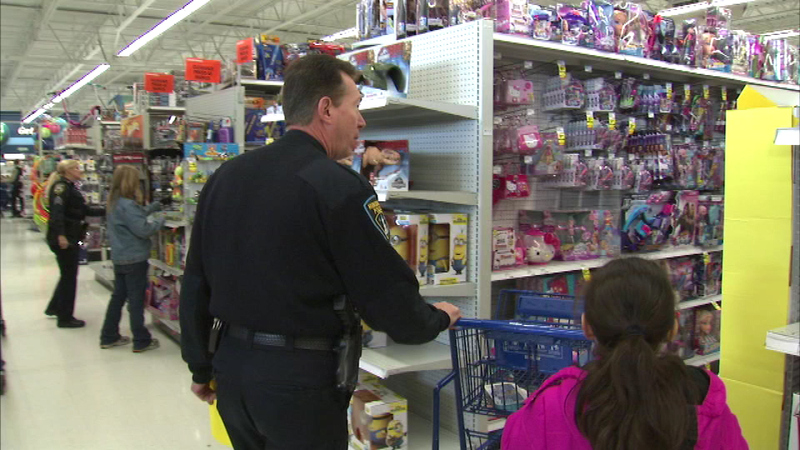 They organized the Shop-With-A-Cop event Saturday. Kids rode in squad cars, then did some shopping at the Meijer in west suburban Bloomingdale.